Many people have occasional acid reflux or heartburn after eating a heavy or spicy meal. But for children and adults with acid reflux disease, also known as gastroesophageal reflux disease (GERD), the symptoms are more frequent and severe. These patients often experience vomiting, diarrhea and persistent burning in their stomach after eating. Many also experience fatigue, anxiety and depression as a result of their ongoing symptoms. 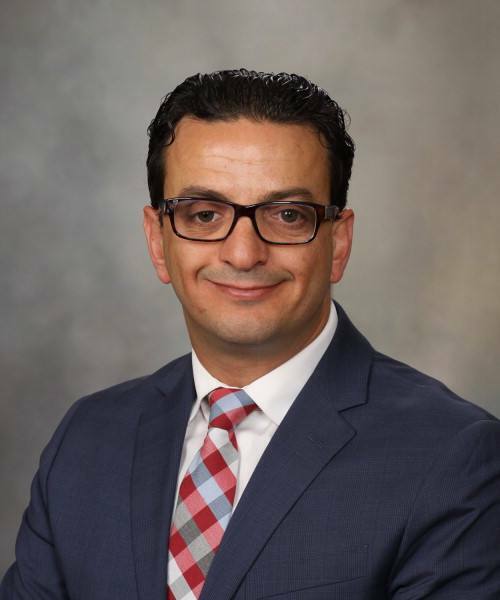 In a recently completed pilot study for the Mayo Clinic Center for Individualized Medicine, Imad Absah, M.D. used pharamcogenomic testing to individualize care for 50 children with acid reflux disease symptoms who were not finding relief with standard therapy. The testing helped identify alternative therapies, uncover other underlying conditions causing symptoms and avoid further invasive testing. “The number of children diagnosed with acid reflux and being treated with anti-acid therapy has increased over the last decade mainly because of the obesity epidemic. While some of these patients respond to treatment, others do not. That’s why we are using pharmacogenomic testing – how a person’s genes affect the way they respond to medications – to find an individualized approach for these patients so they can find relief and return to their daily routines.” - Imad Absah, M.D. “The number of children diagnosed with acid reflux and being treated with anti-acid therapy has increased over the last decade mainly because of the obesity epidemic. 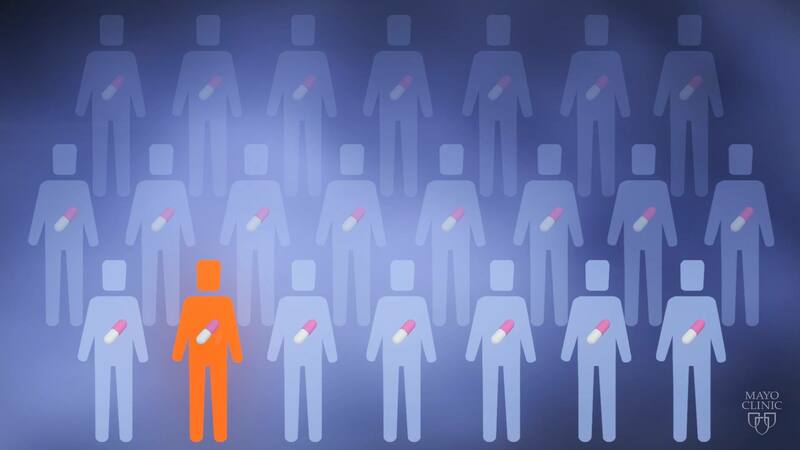 While some of these patients respond to treatment, others do not. That’s why we are using pharmacogenomic testing – how a person’s genes affect the way they respond to medications – to find an individualized approach for these patients so they can find relief and return to their daily routines,” says Dr. Absah, a pediatric gastroenterologist at Mayo Clinic. While pharmacogenomic testing was clinically available, the value of it for pediatric patients with acid reflux disease was not understood. Dr. Absah found that test results improved care for the majority of patients who participated in the study. For some patients, test results helped select the right drug and dose of anti-acid treatment. In other cases, test results helped researchers rule out acid reflux disease, allowing them to search and treat other underlying conditions causing patients’ symptoms. Many of these patients were able to avoid further invasive testing and some were even able to stop taking anti-acid therapy. Dr. Absah’s study is the first of 14 pilot studies underway in the Center’s Clinomics Program, which partners with Mayo providers to bring new models of genomic-informed healthcare to patients in the clinical practice. With a simple cheek swab, researchers gathered a DNA sample from each patient for a clinically available genomic sequencing test. Twenty-two genes associated with medication response were analyzed, including the CYP2C19 gene, which affects how patients processes anti-acid therapies used to treat acid reflux disease. According to Dr. Absah, the genetic testing was a game changer. 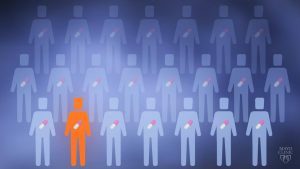 Half the patients in the study had a genetic variant that made them either process anti-acid drugs too slowly or too quickly, meaning that the standard dose was not adequate to control their acid reflux. By changing medication doses, adding another medication or switching therapy, Dr. Absah and his team were able to effectively manage the symptoms for eighty percent of these patients. He described how pharmacogenomics testing helped one teenage boy. “This patient was referred because his physicians at home thought he may have gastrointestinal cancer rather than acid reflux. That’s because after taking anti-acid medications for years, he continued to have acid reflux and develop stomach ulcers. We discovered that his symptoms were due to acid reflux. Pharmacogenomics revealed that he had a genetic variant that caused him to rapidly process anti-acid medications, making his current dose ineffective. After we doubled his dose, his acid reflux and ulcers finally went away. This minor medication change had a major impact,” says Dr. Absah. About 40 percent of the patients in the study did not have a genetic variant affecting the way they processed anti-acid medications. So why was their anti-acid therapy failing to relieve their symptoms? Dr. Absah and his team searched for answers. “Our multidisciplinary team of specialists from gastroenterology, pharmacy, psychiatry and pain management collaborated to uncover the cause of these patients’ acid reflux. In many cases, we were able to identify another underlying condition and find more appropriate treatments to control their symptoms,” says Dr. Absah. For one teenage girl who had nonstop heartburn and acid reflux, pharmacogenomic testing helped change the course of her care. “Through genetic testing, we discovered this young patient had a genetic variant that prevented her current anti-depressant therapy from effectively controlling her anxiety. Once she switched to another anti-depressant, her acid reflux symptoms disappeared. We were able to rule out acid reflux disease and completely eliminate her anti-acid medications. She was able to return to school and get back to dancing – an activity she loves,” says Dr. Absah. Based on these results, Dr. Absah and his team will continue to use clinical pharmacogenomic testing for children with acid reflux disease symptoms. This testing will enhance the multidisciplinary care that pediatric gastroenterology patients receive at Mayo Clinic. Save the date for this year’s Individualizing Medicine Conference. It will be held Sept. 12-13, 2018, in Rochester, Minnesota.